With over a quarter century on stage Mick Meredith is part joke teller and part guitar slinging song monster. Mick’s shows are a rapid-fire comical commentary of stories, songs, gags and guitarings. Mick began his musical to comedy journey at the legendary Sandringham Hotel, Newtown in the 80’s playing in rock bands before switching to comedy in the 90’s. Micks’ ability to entertain any audience from teens up to nans & pops is something not every comic can do and surely proves what a versatile act he truly is. 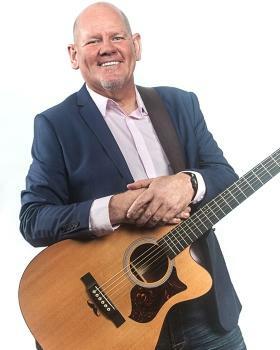 Mick Meredith is one of Australia’s most in-demand comedians for the past 20 years and one of the countries leading musical comedy acts with appearances all over Australia and internationally from PNG to Egypt. Mick entertains at dozens of corporate events each year and one of the countries most sought after corporate comics; Past shows have included NAB, Master Painters of NSW, Rugby World Cup, Channel 9, Austral Bricks, NSW Sportsperson of the Year, V8 supercars, Penrith Oztoberfest, Master Builders of South Coast, Canberra Raiders, South Sydney Rabbitohs, Penrith Panthers, Canterbury Bulldogs, NECA, Golden Trowel Awards, Wally Bamford Benefit, Granville Soccer Association, Nite Owl, IFS Smart Freight, Toyota and many more. Mick’s corporate shows are vastly different to the normal run of the mill after dinner comic, his dynamic performances combine laugh out loud comedy, music and a touch of humorous magic. Micks’ three-decade experience as an MC, comedian and musician will add that something different to your next event, function or comedy night.